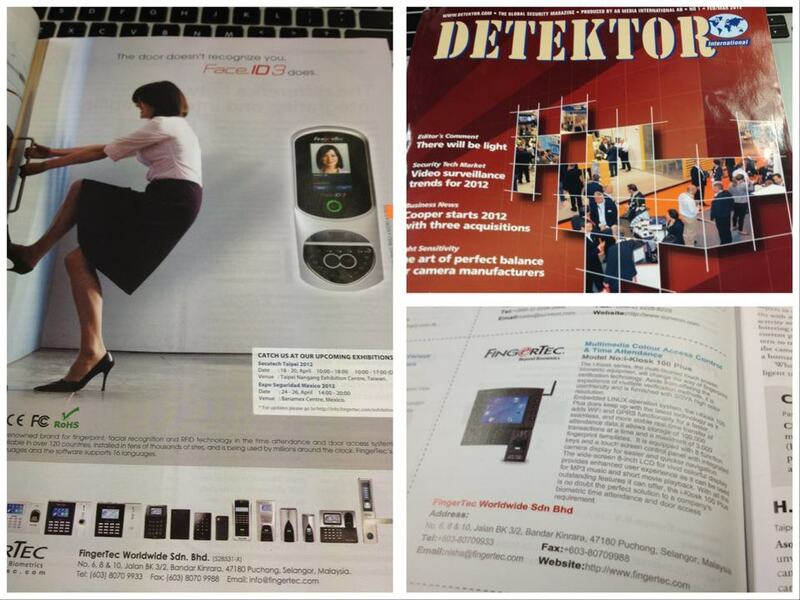 Watch Out for FingerTec Ads in 2012! Deciding on where to put your money on advertisements could be as tricky as scoring a perfect bullseye in a dart game; a slight misjudgment could divert the dart to miss the intended target. While in the dart game, the consequence could be reduced to nearly none; in business it means burning money at a very fast rate. There is a saying that one needs to spend money to gain money but resources are usually scarce at the initial and growing stage, therefore a prudent spending must be exercised to avoid draining of the cash flow to the point of no return. In the past years, FingerTec has been focusing its effort in the Internet advertisements, placing the brand in Google and a few other sites for select regions and audiences. The brand grew organically and we are happy with the outcome but at the same time we know that the brand needs to grow further and faster in our way to become a renowned global brand. Our resellers have been asking us this question in many versions over many years, basically to mean, when are you going to advertise in the industry. And the answer is always, when the time is right. I suppose now is the right time for the brand to soar a little higher with the help of the printing media and more exposure in popular sites in the Internetland. Choosing the right media to advertise in order to reach our intended audience should be a calculated risk. 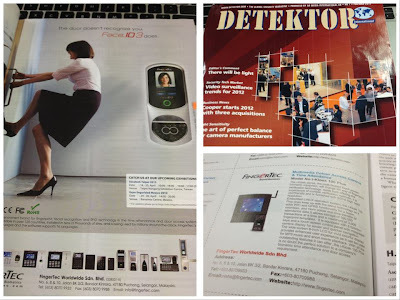 Hence, throughout 2012, do check out FingerTec advertisements in A&S International Edition, Detektor, Safe and Secure (India), Building and Investment (Malaysia), Malaysiakini.com and Facebook. 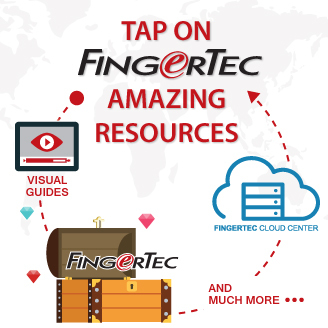 Spread the news around and in the meantime, we call for your efforts to advertise FingerTec in your specific territory. If you need any assistance from us or you have some suggestions for improvement, kindly email to info@fingertec.comfor a discussion. A month or so ago a friend of mine who runs a small PC repair and maintenance had his store broken into. Even though the front of the store was securely locked behind a steel gate that slid from the top of the entrance way, there was a side door that was not nearly as secure; this was how the thieves got in. Thankfully they did not steal much except for a PC monitor and a broken laptop that was being serviced and was left out by accident. My friend was smart enough to install a few video cameras in the store so with the help of the police we were able to find and catch them. Also, the stolen stuff were eventually returned. It turned out well in the end but my friend was very very upset at the time. Previously I had advised him to install a better side entrance and a fingerprint door lock. Instead, he opted for a regular lock and key door which was obviously picked open by the intruders. I did not want to be the one who told him so but the day after the store was robbed he looked at me and said, "You were right, I should have installed that fingerprint door lock." "So we are going to be installing a new security system and door lock mechanisms soon. After the recent attempt by thieves to pick the lock and break in I think it is the best time to upgrade our security." "Makes sense. Will it be effective enough to stop or at least significantly slow down any future attempts?" "Oh yes. As part of our new security upgrades every door in the building is going to be installed with fingerprint door locks." "Really? That is pretty cool. How do those things even work?" "In a nutshell, fingerprint door locks scan your thumb or any other finger for that matter and then matches it up with authorized prints in the database. If it matches, you are in. If not, you are out of luck." "I agree. With our old series of doors that needed locks we were unable to really keep track how many keys we made and who had what keys. It was too hard to track who lost their keys so this will definitely get rid of that worry. The lock also has a built-in tracking system that allows us to see who entered and exited each door; there was definitely no way we could have done that with keys." I think inevitably the influence of CeBIT is declining over the years. Undeniably, CeBIT is still the world's largest ICT Trade Fair but I just didn't feel like I walked into the cyclone of the digital world. It showcased a little bit of everything - a little bit of tablets, a little bit of communication, a littlebit of security, a little bit of cloud computing, a little bit of social media, and a little bit more on business applications, but hardly was there any stimulant strong enough to excite me. The show felt like a weak theme song with disappointing lyrics. I didn't see much coverage of the 6 - 10th March CeBIT Hannover on any online technology media like TechCrunch, AllthingsD or Wired. In fact, the launch of the new iPad in Cupertino on 7th March, easily received more attention. 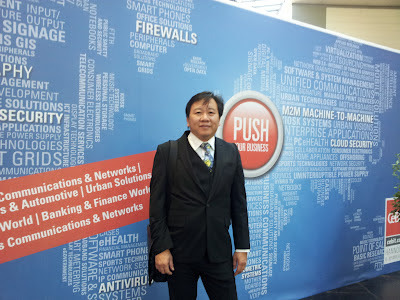 And if I am not mistaken, there weren't any star products using CeBIT as their launching platform. There were, however, old boys like SAP, Microsoft, IBM and Intel that played it big and dominated some halls, while new boys like Google and Salesforce tagged along halfheartedly with moderate booths spaces. In recognition of this post PC era, PC giants like Dell and HP knew their place and played a much lower profile in CeBIT, while other PC big boys had shied away from the show. Many influential big names were missing from CeBIT this year, which made the show less attractive. At its peak during the dot-com boom, CeBIT grossed visitors up to 850,000 and pulled almost 8,000 exhibitors, but declined half for both to 334,000 and 4,000 in 2010. With only 15% foreign and diversified visitors, exhibitors might not get their target audiences easily. Some says that CeBIT is meant for B2B and it is not a consumer technology trade show like CES in the United States. They continue to argue that this is a good platform for CIOs to meet up, to exchange views and sharing experiences. If so, CeBIT is indeed a very expensive gathering event for the IT guys. IT guys are a bunch of people that could find all their stuff over the Internet, and communicate to the right personnel online. 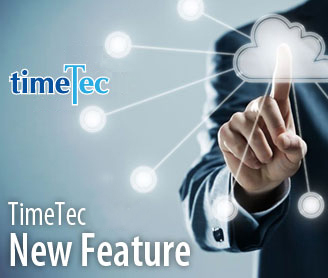 For example, if their company wants to implement Cloud Computing ERP, they would know where to look for the right solution, where to do thorough research and comparison, and where to get a free trial before making any decisions. CeBIT is obviously more focused on B2B, but when personal technology is becoming the trend of the digital world, business computing has to rethink on how to accommodate personal technology into their offices. For example, when fewer PCs and notebooks were sold, we had no doubt that more and more consumer gadgets like tablets, iPad and smartphones are appealing for office purpose. Since digital technologies have become a part of everyone's lifestyle and the convergence with consumer electronics, smart gadgets and the home entertainment market, the line for personal devices and office devices can no longer be drawn. When Norana told me to forego CeBIT due to its diversified audience, we decided not to take part last year after our first participation in 2010. But being the largest ICT trade fair on earth, I was still pulled by its magnet. Hence, I came to see for myself this year as a visitor with the hopes to get a first-hand feel and figure out how to reposition or to blend ourselves into it. My interest waned after the visit, and I had to agree with Norana to drop the idea to rejoin the show entirely. What can visitors expect out of an IT Show when the leading companies from Silicon Valley show a lukewarm response while China companies overwhelm the exhibition halls? So, you have on your desk the time sheet and the shift reports for the company and something does not add up. The company is paying out a lot of hourly salaries and yet less work seems to be getting done. You glance at the time sheet again and it takes you all but a second to realize what is going on. A long, deep sigh is expelled from your mouth and you shake your head. This is a problem; it is a major one in fact. A few employees are gaming the clock-in, clock-out system and this needs to be fixed immediately or it will only get worse. 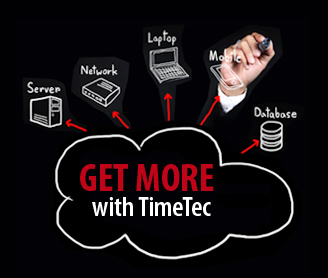 Your best bet: upgrade your company's attendance system. But how do you do that? Install and utilize a fingerprint time clock as part of the employee's daily procedure. With this new system employees have to input their thumb prints into each door in order to get in and out of work. This new system will allow you to better control your employees' attendance and eventually stem the abuse of the current system you have in place. Fingerprint doors serve as security measures and accounting tools for your company. It would be wise to consider using this system. We have all seen movies in which some super secret agent goes to a building, presses a couple of numbers, and then place their thumb on a sensor and voila, the door unlocks and opens on its hinges! While the character and the setting might be fake the technology is most definitely real. Fingerprint door locks do exist and can be used to lock and unlock a building's doors. What makes these locks more secure than normal key access doors is that fingerprint door locks are set to only accept fingerprints. And unlike metal keys, fingerprints are impossible to duplicate. You need a living person with the correct finger to open a door that is locked using this device. With typical doors, you have to go well out of your way to get keys duplicated and the more people who has access to that key the less security that door affords you. With fingerprint technology, you have an easier way to allow or disallow access to certain individuals and you do not have to worry about losing control over access privileges. And, you never have to worry about losing your key; you always have it on you! Fingerprint locks are the wave of the future and the best options to securing doors to places that need to be protected. 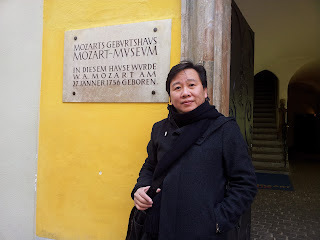 Due to my trilingual background, I don't read translated Chinese, English or Malay literature, I prefer the original languages. We all know that literary works and creative writings are the hardest to translate. It might not be so much the case of misinterpretations, it is more about the tone ended up feeling differently from its original version. To indulge in literature, unless you have no command of its original language, avoid the translated version, perhaps at all costs. It’s simply because every language has the substance of its own culture; the complexity of the culture is even extended to the names of its people. 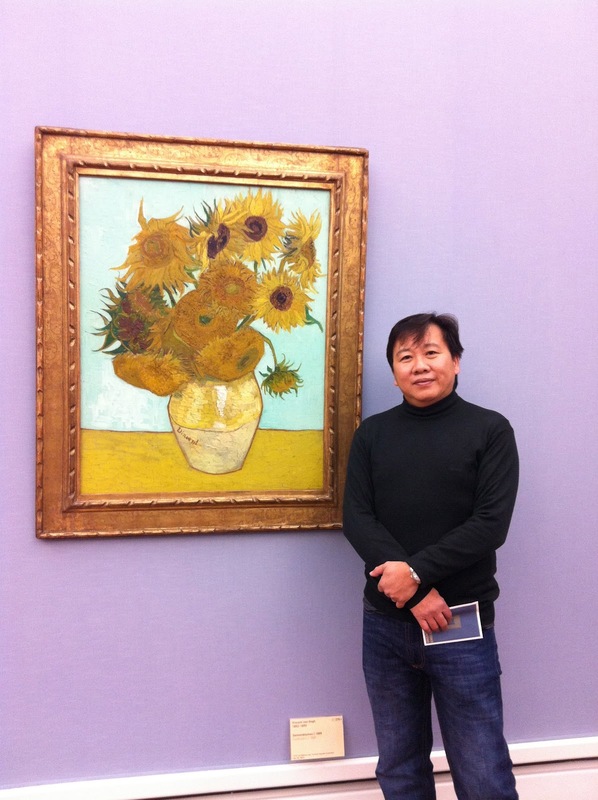 For some famous Chinese writers who originally write their novels in English like Jun Chang, Ha Jin and Geling Yan, when their stories set foot in China, the Romanized Chinese names of the characters still bother me. Not only that they're hard to remember, the vivid meanings behind a Chinese name can no longer be discerned. It's the same effect when I read celebrity names like James Watkins, Daniel Craig, Tom Cruise or Cameron Diaz in Chinese, you have to sacrifice extra brain cells to figure out who is who. We are lucky because our commercial products have nothing to do with literature. The language we use to explain our products can be very simple and straightforward, users do not need to read between the lines. But still, you simply cannot trust any machine or software or Google Translate to do the job; to translate accurately, human factor is crucial. We have no doubt that translations and localizations are vital for business to compete successfully in the global market. According to 2006 Common Sense report that surveyed more than 2,400 consumers in eight countries, in fact, 52% of consumers will only buy something from a website in their own language. In France and Japan, that figure increased to more than 60%. We have to bear in mind that consumers who do not speak any English are six times more likely to avoid English websites altogether. Customers would perceive companies that can speak in their native tongue as more credible, but that’s not the reason why we privilege translations and localizations. As we steer our practical branding in full gear, we don’t want language to become the barrier for our customers to understand and to use our products. 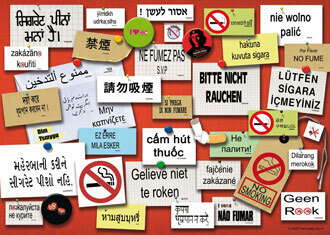 And for that particular reason, we are managing a large volume of contents for translations everyday. 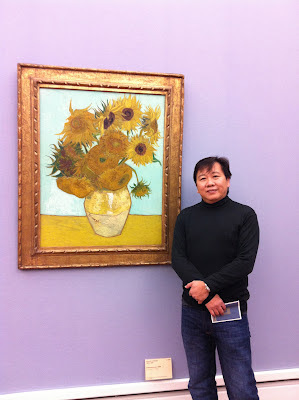 Let me explain why our translation work is complex. We have websites, software, hardware, usual manuals, video guides, technical tips, training and marketing materials, voice clips and etc, and for some materials, we translate them to more than 10 languages. We also frequently upgraded our software and hardware, and improving all kinds of support materials all the time. The contents around the products have to sync with the latest upgrades, hence the translations need regular updates as well. When it comes to details, we know that translators always stumbled at literary works and sometimes decided to rephrase the sentences to bring the gist out rather than translating them directly, the same might happen to our products as well. For example, when we created some usernames as the sample data in software user manual; translators would need to be reminded to create different set of localized usernames instead of using the same names for translation. Isn’t it weird for users in the Gulf to read Wong Ah Kow as a name even if it is written in Arabic? To manage contents and translations more professionally, this month, we have promoted Nattalina Zainal to this new position, Content Manager, to oversee the market and support of FingerTec products across languages.